Illinois sells property tax liens at public auctions. You can buy these liens and make big profits if you know the rules and do your homework. 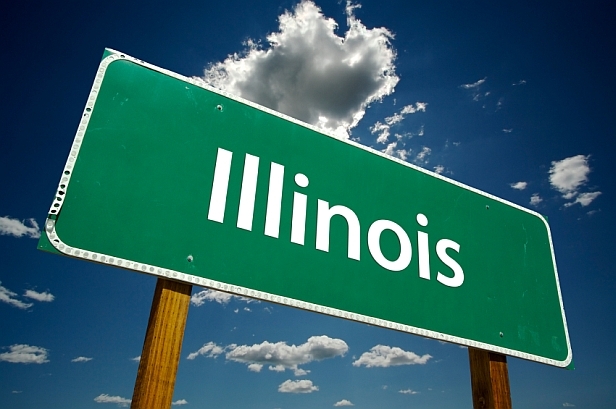 In Illinois, a tax lien auction is your chance to invest to make big profits. You are not buying the property. You are buying the right to collect the past due property taxes plus interest. You can earn as much as 18 percent interest every six months (36% annually). The lien is sold at a tax defaulted property auction. The auction is open to the public. If you win the auction for a piece of property, you get a tax lien certificate when all the paperwork is finished. More than 95 percent of tax liens are redeemed. A property is redeemed when the owner pays you for everything you spent at the auction, plus the interest. If the owner does not pay you, then you can foreclose and own the property. Tax defaulted property auctions are held in each of Illinois’ 102 counties. Pick a county to invest in. Then find when the next tax defaulted property auction is scheduled. You can find the next auction in several places. • The local newspaper. All tax defaulted property auctions have to be advertised in the local newspaper. “[T]he advertisement shall be in a newspaper published in the township or road district in which the properties are located. If there is no newspaper published in the township or road district, then the notice shall be published in some newspaper in the same county as the township or road district, to be selected by the county collector,” states Illinois law Chapter 35, section 21-110. • Online. The Illinois Press Association has Public Notice Illinois where all the tax defaulted property auction announcements are published. • Online. Some of the county tax offices post notices of their auction on their own website. Pick a county and find that county’s website. Look for the tax collector or county treasurer. If you pick a county and no auction is scheduled, go to another county. Each county decides when to hold its auction. Adams County requires a refundable $300 deposit. If you do not win anything in the auction, you get this money back. You also have to fill out an IRS form W-9. Adams County holds in-person auctions so you or your representative has to attend the auction. You can read all the rules for the Adams County tax defaulted property auction here. Knox County requires a $50 deposit, refunded if you don’t win anything at the auction. But you have to be at the auction to get your money back. Sangamon County has a $200 registration fee. The fee will be refunded if you attend the auction but don’t buy anything. If you don’t go to the auction, you forfeit the deposit. Each county sets the date for its tax defaulted property auction. Tax defaulted property auctions can happen at any time during the year in Illinois. Each county treasurer website will also tell you how to pay for any winning bids. Illinois has a “bid down” auction. The price for the property is set and does not change. The interest rate starts at 18 percent per six month period. Bidders drive down the interest rate until no one else is willing to bid a lower return. Here’s an example to help you understand this. A tax lien on a house in Chicago goes on the auction block. The past due taxes plus the premiums added by the county come to $2,500. You know if you win the auction, you must pay the county treasurer $2,500. Bidding starts at 18 percent. Someone bids 17 percent. Someone else bids 16 percent. The interest rate continues to drop until no one else bids. Illinois gives homeowners a “2½ year redemption period” to redeem their home, according to the Adams County treasurer’s website. Property taxes will come due during this time. DuPage County says the homeowner “has a 2 to 2½ year redemption period, depending on property classification.” In certain cases, the redemption period can go up to three years. You have to pay those taxes to protect your investment, if the homeowner has not redeemed the property. This is why it is important to know the rules. The county treasurer can tell you how long the redemption period for a piece or property is. You must do your homework and find out if the property is worth your investment. Some properties are abandoned or are too small to be useful for anything, except selling to the adjacent property owner. This is why you need to learn as much as you can about the property. Know as much as you can before you invest. The real estate information website Zillow is packed with details about individual properties, including those being sold at tax defaulted property auctions. I have two videos on my website, Members.TedThomas.com, that teach you everything you need to know about using Zillow. I also have many more videos that teach you everything you need to know about investing in tax defaulted real estate to make big profits. • A realistic estimate of the property’s value. • The size of the home, including bedroom and bathrooms. • What the house will generate in monthly rent. If at all possible, look at the house in person. Illinois holds in-person auctions, so you or someone representing you must attend the auction. If you hire someone to represent you at the auction, they can look at the house, take pictures for you and give you information about the house’s current condition. You can make big profits at tax defaulted property auctions in Illinois, if you know the rules and do your homework. Let me help.